This is a repeat picture but it still amazes me that I had the opportunity to photograph this owl that I have to show it again. I found this guy sitting at the end of the runway at the Portland Airport in Maine. 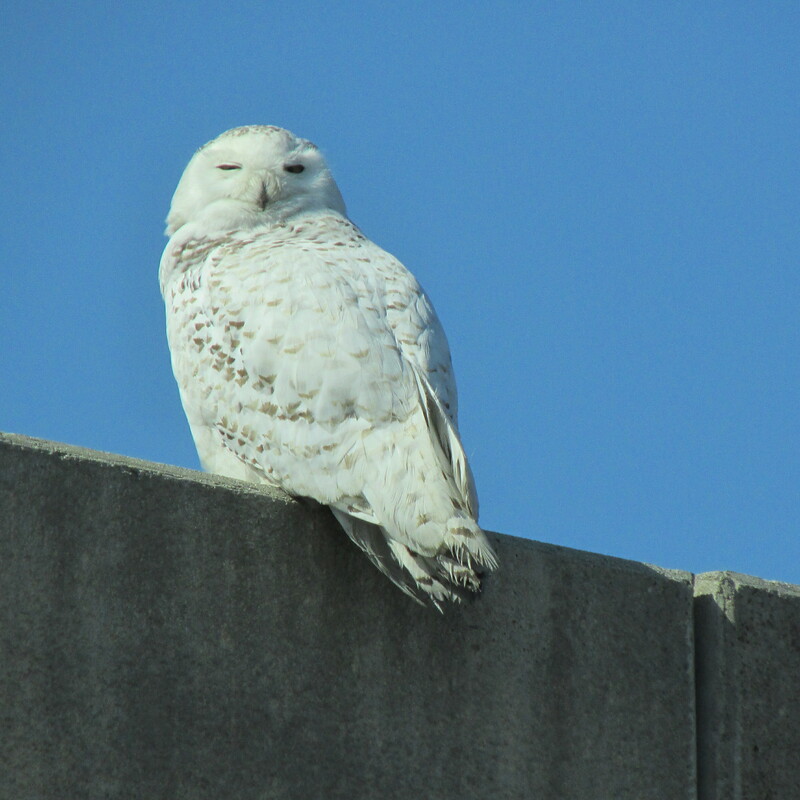 I made my husband turn around and drive back just so we could all take pictures and watch the snowy owl for a moment or two. I've only ever seen these in zoos and bird sanctuaries. Never in the wild. He/She is gorgeous!!! Beautiful picture! How big is it? 20 to 30 centimeters? I don't do centimeters well. It was obviously an adult bird and stood/sat about a foot and half high. That's even bigger than I thought it would be!